Proud of our wonderful international airport though we are, we recognize that staring at the scenery outside the airport window can get a bit dull after the first hour. Let us make your brief Taiwan layover a memorable one by taking you on a scenic trip to some amazingly beautiful spots outside of the city itself. We'll pick you up from the airport and bring you directly to the North Coast, where you'll visit the Yehliu Geopark, famous for it's eroded landscapes and magical rock formations. Afterwards, we'll head to the lovely port town of Tamsui to visit Fort San Domingo, built by the Spanish in 1629 and boasting spectacular views of the Tamsui River. Then we'll walk along the lively old street of Tamsui, a local heritage site boasting excellent food alongside plenty of local color, culture and history. It's a short trip, but enough to give you a small taste of what Northern Taiwan has to offer and, we think, encourage you to make your next trip to Taiwan a longer one. In the event of flight cancellation, guest will be refunded 50% of full payment. Looking forward the next tour with MTT. Coming to Taipei on business, I had a free day and decided to organize a private day-trip for myself and several local clients. Julie at MyTaiwanTour was very helpful, excellent communicator, and also very straightforward (which I would not say about another competing local company with which I had also made contact). Our car came on time (and was bigger than expected, actually a minivan)), the tour was delivered as promised, and actually included a bit more than was promised. I look forward to dealing with MyTaiwanTour again when I return. My wife and I had a 20 hour layover in Taipei . we were in Bali so Internet and WiFi were limited and booking the tour was very trying to say the least . My taiwan tour was very accommodating and patient while I was trying to book. I had almost Givin up but finally was able to book and it was worth all the trouble. Our guide Kurt picked us up at our hotel and we gave him free range on where to go for the day. He spoke great English and was very knowledgeable on the culture and had a great sence of humor. I would definitely recommend this company tour to everyone and anyone how would like to enjoy this very clean n spiritual country. I did this as part of a tour of the northern coast, and I found it was very beautiful! Definitely worth a visit, but it is a bit of a drive out of Taipei. I really enjoyed this short tour - the guide was very sweet and very knowledgable. 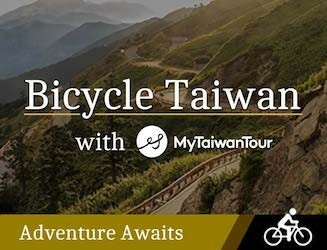 I only had a limited amount of free time in the north of Taiwan so it was handy to have this tour get me at my hotel and return me to the same place. 46 people have browsed this in the last week.